Hello! How do you do? 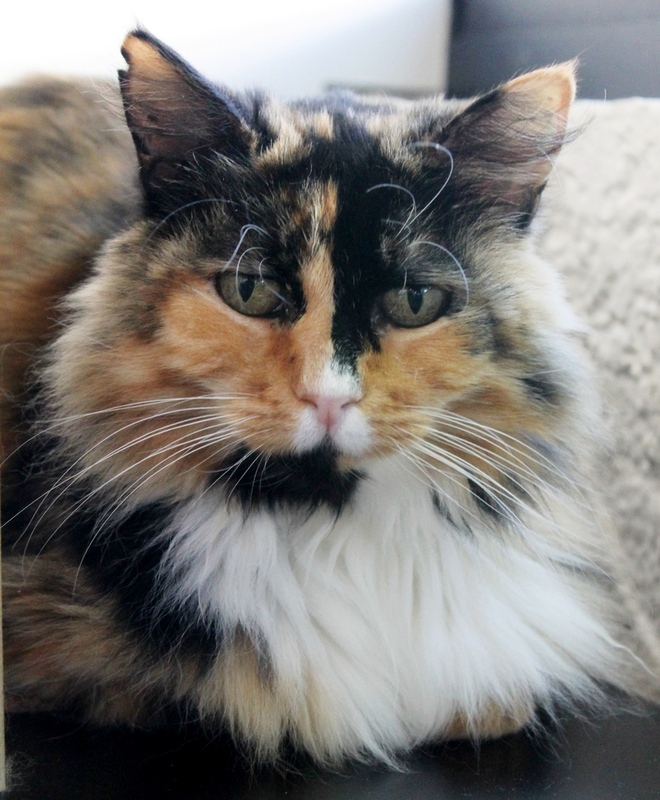 My name is Roxanne and I am a sweet 11 year old calico DLH. As my song goes, “Roxanne, you don’t have to put on the red light”, and boy I don’t! As soon as I meet you, I am begging for some love and attention. I am quite the confident and vocal little lady and will even sing along to some tunes. Especially those great hits from that amazing band who wrote that song about me: The Police! So fill out an application so you can visit me in my foster home and we can have a karaoke contest. The winner receives a fantastic affectionate and gorgeous cat–ME! I come to you spayed, vaccinated, and micro-chipped with an adoption fee of $80.